Southport MP John Pugh has cost Sefton Council taxpayers more than £77,000 in fees so far as a result of his objection to the planned new Sainsbury’s supermarket built on Meols Cop Retail Park. Sainsbury’s wants to create 400 jobs at the proposed supermarket, as well as a new petrol station that should bring more competition to Southport’s notoriously high fuel prices. As a result of emails seen by Southport Labour that were sent to Ministers by Liberal Democrat John Pugh in the last coalition Government, the planning application for the supermarket is now subject to an ongoing inquiry by the Government’s Planning Inspectorate. 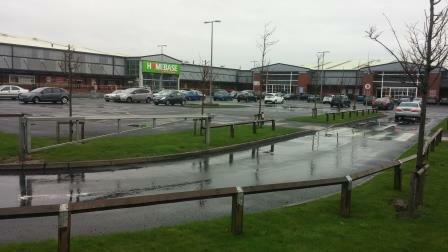 This is despite planning permission for the supermarket being previously granted by democratically elected Sefton Council. An information request by a Southport Labour Party member shows that Sefton Council is facing legal and consultancy fees of £63,000 for work carried out so far to prepare for the inquiry, plus an estimated £14,000 in legal and consultancy fees for the three remaining days of the inquiry that are still to be held. At least seven members of staff from Sefton Council have also had to work on preparing for the inquiry rather than their normal tasks working for the people of Sefton. Southport Labour Party chair Ray Roberts said: “The objection by John Pugh to the Sainsbury’s supermarket at Kew has already cost Sefton council taxpayers at least £77,000 and this bill looks like it’s going to increase. 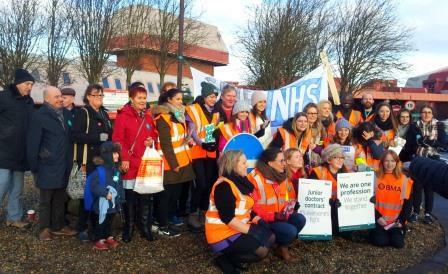 Southport Labour activists were out showing their support to the NHS junior doctors at Southport Hospital today in a show of solidarity as the BMA dispute with the government continues.